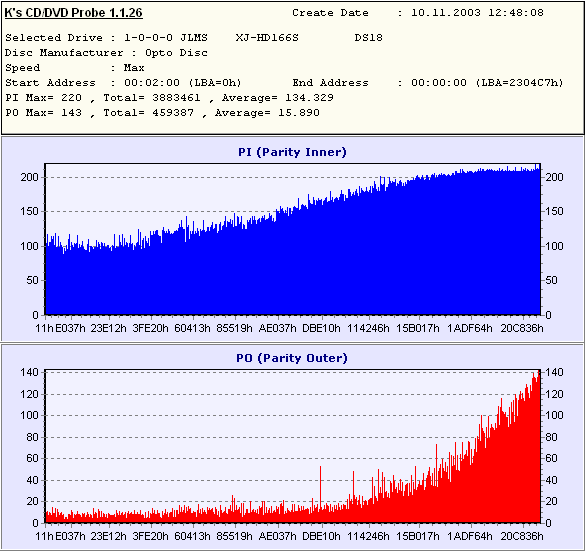 Recording DVD drives are getting widely popular, and the number of the drives installed is also mushrooming. 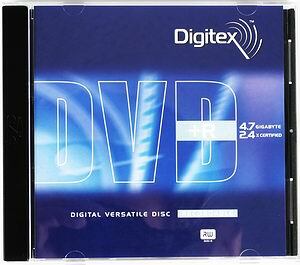 The demand for various recordable DVD media is growing up at the same rate. This market sector becomes the most vital for many optical drive makers. 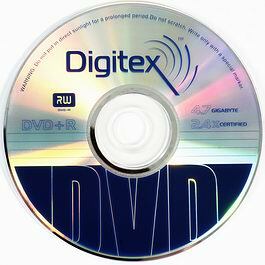 Digitex has recently updated its line of recordable DVD discs. 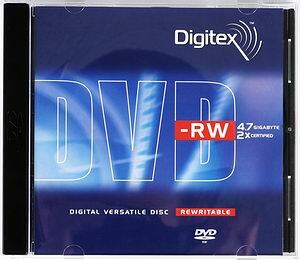 If earlier the same pack contained DVD media from different companies, now the whole line is produced solely by Optodisc. 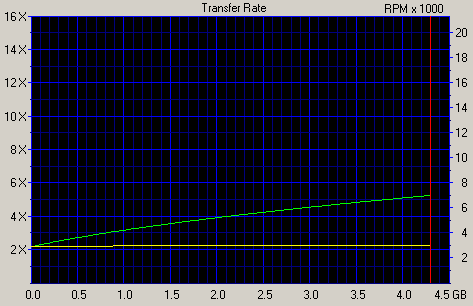 It prevents the problems that users faced before. 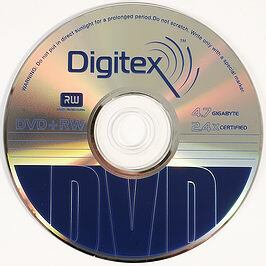 Today we've got a new series from Digitex to test in our lab. 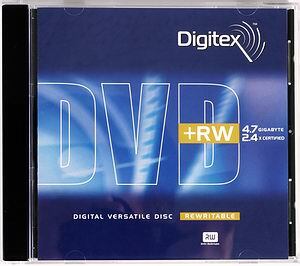 At the present the line lacks for DVD+R/RW media designed for 4X, but the company is going to get the license in the near future for their production. 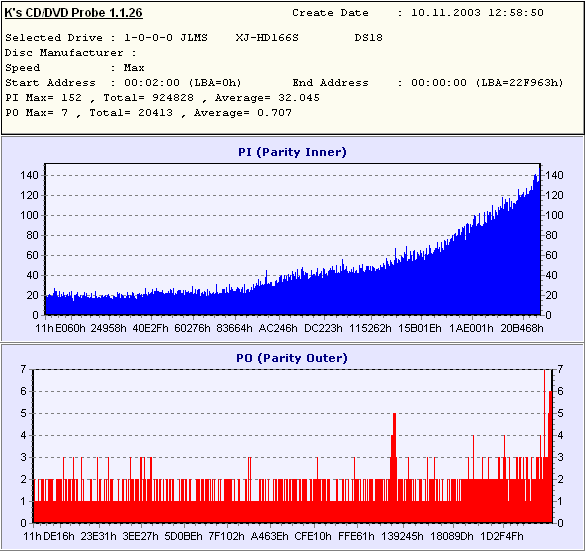 All the discs were tested on the ASUS DRW-0402P/D and SONY DRU510-A drives which support all media types of the new line. Note that it's not professional benchmarking as we do not have specific tools and that many discs. We used usual DVD drives and recorded 4-5 discs of each type. 00 00 10 00 0B 07 1A 17 B8 89 75 00 0C D5 79 88  ..........U...Y. 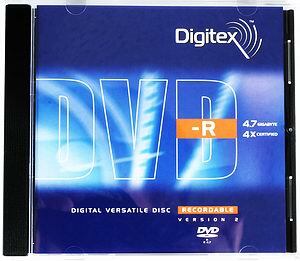 In spite of the high level of errors the discs recorded were successfully read by the test DVD-ROM drives. Sometimes the movies played on the home BBK 916S player had some problems like sound interruption and picture freezing by the disc end. The discs were successfully read on the test DVD-ROM and home DVD players. 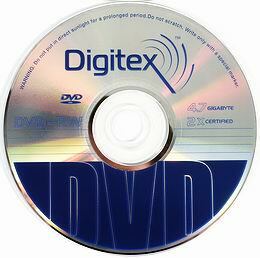 The discs were successfully read on the test DVD-ROM and home DVD -players. 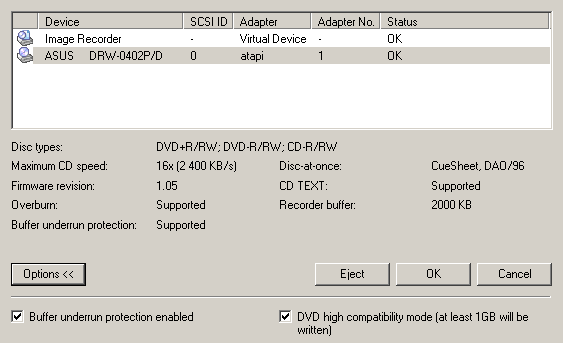 There's quite a lot of errors at the end of the disc, though the DVD-ROM drives read the data without any problems. 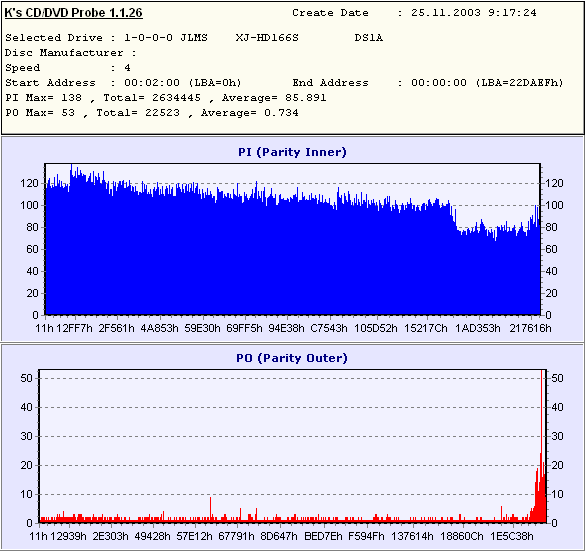 Sometimes the movies played on the home BBK 916S player had some problems like sound interruption and picture freezing by the disc end.